Earlier this week we showed you some foxy pallet art for my cousin’s baby shower. 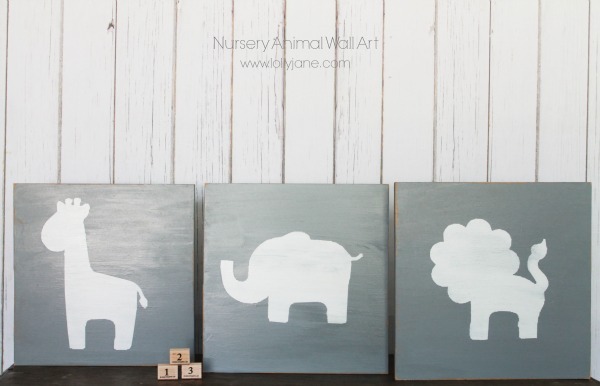 I thought I’d share my good friend’s nursery animal wall art that I made specifically for her baby shower…also her baby gift for her sweet son! I love how this quick art turned out. Animal silhouettes painted on wood plaques, distressed a little. Easy and cute.